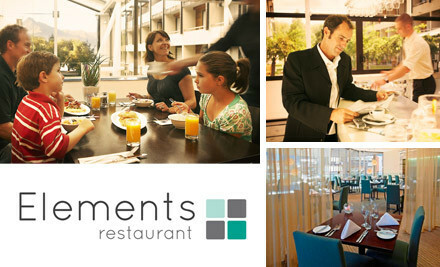 Elements Restaurant offers fresh seasonal cuisine and a contemporary dining experience. Dining on either the mezzanine level or in our bar overlooking the Rose Garden & lake Wakatipu from 6pm daily. Really lovely and kind staff members. We had a blast! Great service, great food. Went on first table so good price. Food was amazing and service was great. Would definately be back. Service was friendly and efficient. The food was amazing, very tasty. Great place to eat. Lovely service and food. Lacked atmosphere and felt we had to talk very quietly as otherwise everybody would of heard our conversations but was a nice experience overall. Fantastic dinner at Elements. Amazing service, especially since it was our anniversary dinner. Staff went all out with complimentary drinks and dessert platter. Food was amazing! Great atmosphere. Recommend this place and will come again! The staff here are lovely. This is the best Novotel we have stayed at. We would definitely recommend it to others. We are so sad to be leaving. We will definitely come back. Great night. They accommodated dietary requirements very well. Staff very friendly. Excellent food and service and very friendly staff. Delicious meal and the wait staff were very friendly. 7 of us stayed at the Novotel Hotel for a staff Xmas function for a weekend. We booked several weeks in advance to dine at Elements restaurant in the hotel for the Saturday night. I received a confirmation message 24 hours prior to our booking. We arrived at the restaurant and not only was there no booking, the restaurant was full and the staff were going to cobble together 2 tables to seat us in the foyer. Very very disappointed in the whole experience and we declined the offer to perch in the foyer with an uncomfortable setting and left the hotel to find dinner elsewhere. What is the point of having a booking system if it doesn’t work? I am sorry to hear about your experience at Elements. Please accept my apologies for not meeting your expectations and the inconvenience caused. Our restaurant team made an error and the booking was not communicated to the service team. There was a large group dining in the restaurant and the best available space at the time was at the Elements Bar however I totally understand that it was different than what you had expected. We would love to have you back for dinner when you are traveling to Queenstown and offer some of the excellent dishes we have on the menu using the local produce. We had a great meal. Thank you.